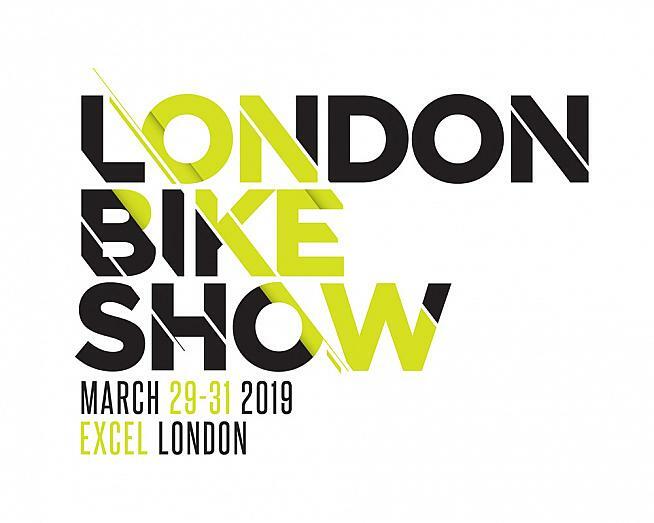 The London Bike Show returns to ExCel London this weekend, offering cyclists of all disciplines the chance to get a close-up look at the latest bikes and kit from their favourite brands from 29-31 March. 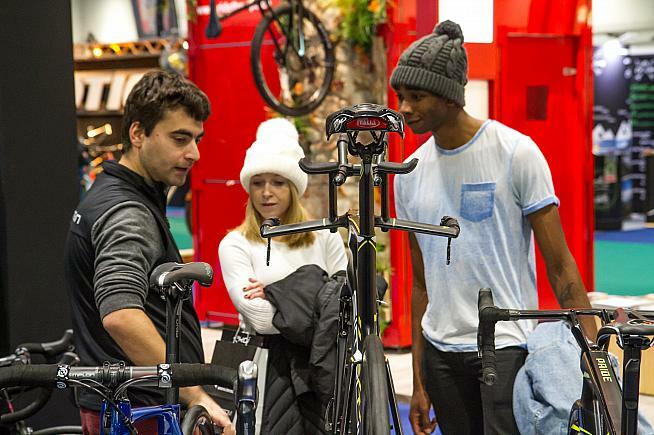 London Bike Show takes place this weekend 29-31 March in London's ExCel centre. With 331 bike, kit and accessory brands on display, and opportunities to test ride the latest bikes on the test track, kids test track and a mini pump track for those up for showing off their riding skills, the London Bike Show and the Triathlon Show which runs alongside offer an amazing day out for cycling and triathlon fans. London-based Sigma Sports bring an array of names to the show over the weekend; Tacx, Specialized, MAAP, VEL, Maurten and Black Sheep Clothing all featuring at their stand. A mix of urban and E-bikes will be on display from Ribble, as they continue to diversify, alongside their popular range of road bikes. Tri UK once again bring with them a whole host of familiar names; Cannondale, GT, Fabric, Cervélo, Focus, Muc Off, 2XU, Dirty Dog, Mizuno, Dare2Tri and Foor Wetsuits. Canyon will be displaying their latest models including the bike of World Champion Alejandro Valverde. German brand Canyon will be at hand to showcase their latest models for 2019, alongside the World Champion bikes of Mathieu Van Der Poel, Alejandro Valverde and Patrick Lange. Canyon's Aeroad and Ultimate CF SLX road bikes have been mixing it in the pro peloton for years with teams Movistar and Katusha, while their opinion-dividing Grail gravel bike was one o fthe most memorable launches of last year. There'll be a chance to test-ride a selection of Canyon bikes on the show's official test track, and - with the paint still damp on a revamped website - we're looking forward to seeing if they've anything new up their sleeves for 2019. North London Thunder Cat Black Metal Bicycle Club will demystify the voodoo of cycling at Casquette Live. 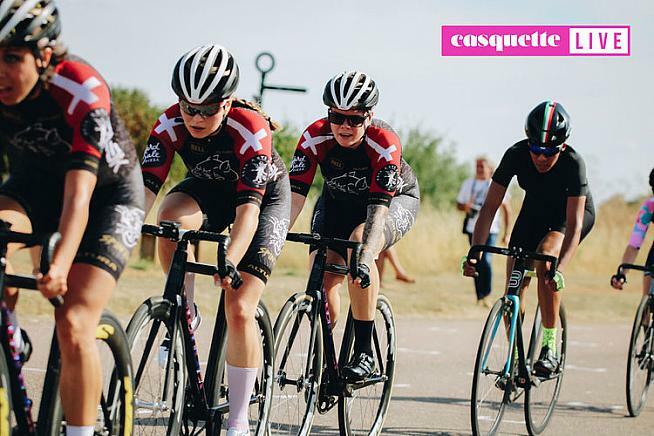 One event worth checking out will be Casquette Live, a show-within-a-show by women's cycling website Casquette. Featuring gin, a saddle library, celeb speakers and track-standing tips from the awesomely named NLTCBMBC (North London ThunderCats Black Metal Bicycle Club), it promises to be one of the liveliest attractions of the show. You can find out more and book tickets over on the Casquette site. Elsewhere, award-winning OTE Sports bring their naturally flavoured nutrition range to the show, as well as Team GB legends Alistair & Jonny Brownlee and Georgia Taylor-Brown. Get hands on with the latest bikes from your favourite brands. Triathlon brands such as HUUB and Zone 3 will provide attendees the opportunity to test their wetsuits during the three days too. Wattbike, Hedkayse, Calibre Bikes and Oakley are all in attendance as well, while Ison Distribution bring with them Surly, The Light Blue, BZ Optics and Miss Grape Bikepacking. 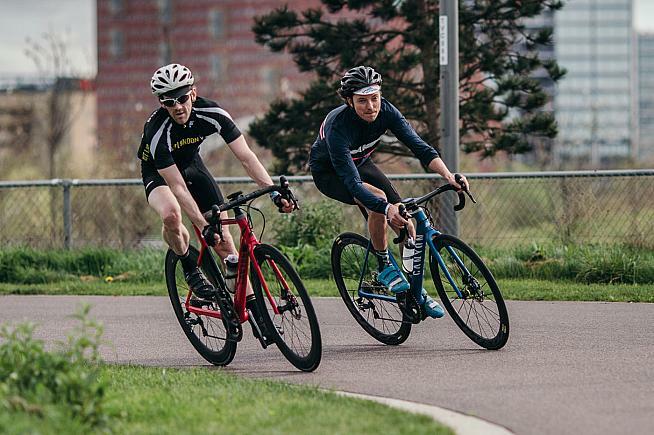 Frazer Clifford, show owner, said of the announcement: "We are proud to have assembled such a fantastic array of exciting brands, firm favourites and new, from the world of both cycling and triathlon. "As ever, the shows offer attendees the chance to get up close with much loved brands, gain first hand insight and test ride bikes they have always wanted. With another fantastic schedule of speakers across all three days as well, there is always something to be enjoyed while at the shows." To see the full list of brands exhibiting at the London Bike Show, visit www.thelondonbikeshow.co.uk/exhibitors.